Facet joint syndrome is caused by the degenerative changes in your spine. Your spine is made up of 33 individual bones that provides support for your body and the facet joints sit in-between the vertebrae of your spine. The facet joints provide mobility and strength to your spine and help limit movement. Facet joints are synovial joints that sit in synovial fluid and are lined with cartilage. 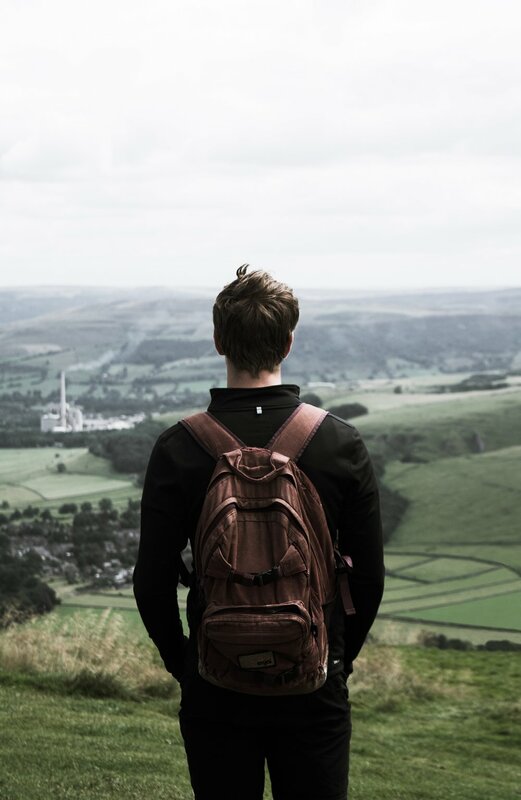 They are protected by a joint capsule that work and slide together providing mobility to your back. Degenerative changes in your spine can sometimes cause your facet joints to become strained from wear and tear. The joint capsules that protect the facet joints can thin and the cartilage inside that is usually smooth will become harder and irregular. 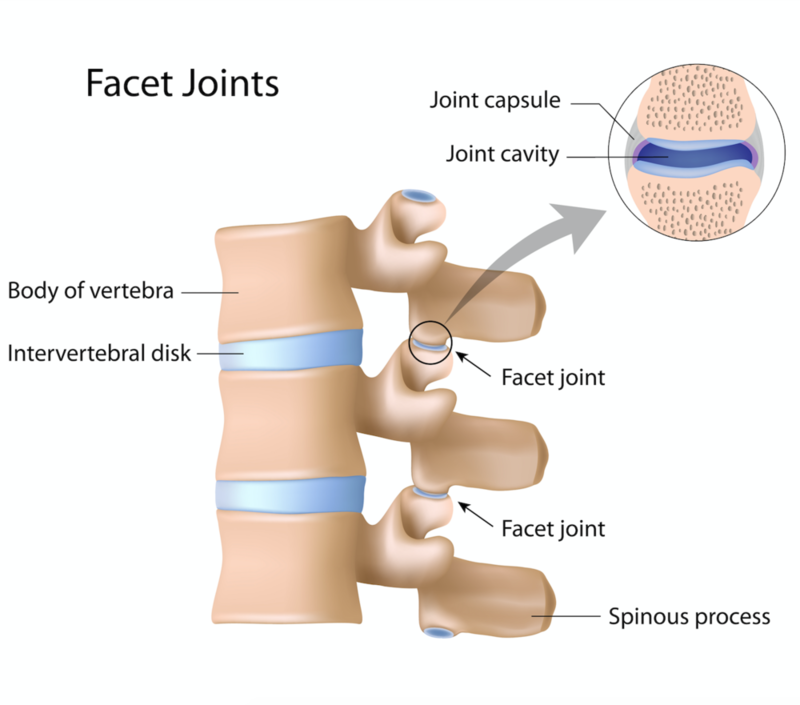 Facet joint syndrome can be described as an arthritis like pain as the joints become irritated and inflamed where they are unable to move together smoothly. Symptoms can be triggered by an injury or pressure on the spinal cord. Pain signals will be sent from the medial branch nerves to your brain that the facet joint is irritated and therefore may react in spasms. Radiation of pain into other parts of the spinal cord, neck, shoulders, arms, legs and fingers. Degeneration basically means aging of the joints and as we get older our bones and joints do too, which causes wear and tear. Other possible causes can include obesity, posture and day to day repetitive activities like sitting for long periods. Both men and women can get facet joint syndrome but it usually occurs in people 40+ when the bones start to degenerate and ultimately rub together and become irritated. If a patient is experiencing symptoms of possible facet joint syndrome then a trip to your doctor will be necessary. Your doctor will go through your medical history and symptoms then perform a physical examination like testing your reflexes, muscle tone and sensory function. Imaging is always a very good option when trying to diagnose a condition a doctor can not physically see. 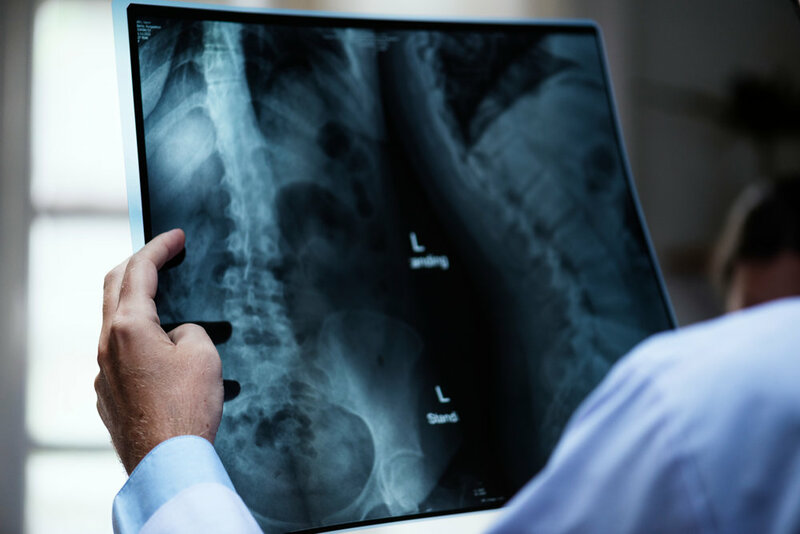 Studies like MRI, CT, and X-ray will be able to take pictures of your spinal cord and pin-point the irritated facet joints and any other problem affecting the spine. There are a couple treatments available for facet joint syndrome and this doesn’t mean surgical intervention. Simple solutions like self-care is sometimes the best way to start if your symptoms are not extremely painful or chronic. Correcting poor posture, exercise and better management and being mindful of your back are all effective ways of improving your back pain. Physiotherapists are specially trained in understanding how the body works and work hard to provide patients with effective care in the best way. They help you gain strength with exercises and show you techniques on how to walk, lift and stand properly. Medications are also beneficial for patients with inflamed facets or who are suffering with muscle spasms. Anti-inflammatory medication and creams are just some of the options. Steroid joint injections are probably the most effective and quickest form of pain relief for patient suffering from a lot of pain on a daily basis. It is a minimally invasive procedure that injects corticosteroid and numbing agent in to the irritated joint. The steroid injection reduces swelling and irritation from the facet joints. Pain relief can begin straight away and can last from days to years and if the pain returns then the injections can be repeated. Radiofrequency ablation is a treatment an x-ray guided electrical current is used to produce heat to burn areas of nerve tissue that sends pain signals to the brain, ultimately reducing the pain. It is minimally invasive and helps patients suffering from chronic pain like facet joint syndrome. Mr Sanj Bassi one of our leading paediatric neurosurgeons explains to us what trigonocephaly is. Trigonocephaly also known as metopic craniosynostosis is a condition where the baby’s skull has fused together before birth. This causes a triangular shape or ridge to the forehead. The skull is not a single bone and is actually made up of several bony plates. In between those plates are sutures. These sutures gradually get closer together and stick as the child gets older. Premature fusing of the sutures is called craniosynostosis. This condition is present at birth but it can sometimes take some time to be more prominent. There are other similar conditions related to craniosynostosis that can be confused with trigonocephaly so it is very important to get a correct diagnosis. The cause for trigonocephaly is not yet known, but possibilities could include genetics, types of medication the mother takes while pregnant and the position of the baby in the womb. The signs and symptoms vary from baby to baby because each case is different and severity can widen. A triangular shape to the top of the head with a pointed shaped forehead. This can make the eyes closer together. Difficulties with vision and developmental milestones. Because trigonocephaly is very visible and prominent it is not always necessary to get perform further tests to get a diagnosis. Monitoring scans such as X-rays and MRI can be used to see how the skull grows over time. Sometimes treatment may not even be necessary if the trigonocephaly is mild and is not causing the baby any developmental or physical issues. A multidisciplinary team of doctors will discuss each case in detail and decide on a dedicated treatment plan specifically tailored to the individual. The multidisciplinary team will include a neurosurgeon, craniofacial surgeons, ophthalmologists, speech and language therapists and more if needed. Surgical intervention will be needed to correct the facial and skull deformities. As stated, each case is very different but surgery is usually best performed in the baby’s first year. This is because the bone is still soft so it makes it easier to manoeuvre. As the child gets older the surgery will become more complex and may have to be performed more than once. Your surgeon will explain the best possible way to treat your child and make sure they receive the best possible outcome. You will be told the risks, complications and benefits for the treatment and able to ask as many questions as you like. It can be extremely scary for a parent when a child goes for surgery even when in specialist hands. It is important that you talk to your doctor about your worries and are very well informed. The types of surgery offered for patients with trigonocephaly do include endoscopic surgery and reconstructive surgery. Radiofrequency ablation (RFA) is a minimally invasive procedure performed to reduce pain. An x-ray guided electrical current is used to produce heat to burn areas of nerve tissue that sends pain signals to the brain, ultimately reducing pain. This type of treatment is usually performed on patients suffering from chronic pain in their spine and other parts of the body. It can help relieve the pain of arthritis and neck, pelvic, back and peripheral nerve pain. Your consultant will discuss the risks with you in detail before the procedure and will inform you of all the risks, complications and benefits of RFA. You must be very clear with your doctor what medication you are on as some can cause complications and anaesthetic effectiveness during the procedure. You will be directed on which medications you will need to adjust for the procedure. Do not eat six hours before the procedure. Drinking water is fine. Bring comfy clothes and someone with you to help you home after the procedure. You should not drive for at least 24 hours after the procedure. You will be taken to theatres and local anaesthetic will be applied to numb the area where you are experiencing pain. A low dose of sedative may be used but you will be awake during the procedure but you will not feel any pain. During the procedure a thin needle is guided by x-ray towards the area of pain. A microelectrode is passed through the needle towards the targeted nerve tissue. The microelectrode will burn off the nerve tissue that transmits the pain and destroys the signal. The procedure can take up to 45 minutes or longer if there are more areas of pain to cover. After the procedure you will be taken to a ward to recover. Some observations may take place and you will be able to walk after the anaesthetic has worn off. You will be able to go home the same day, but you must not drive. A follow-up consultation will be made for you to review the procedure and your symptoms. The pain relief can be different for each person because it depends on the location and how bad the pain is. Usually it will last from 9 months onwards, sometimes it can be years. It is effective in 70% of people and the treatment can be repeated is need be. Mr Nicholas Thomas explains what a chordoma is and the types of treatment available. A chordoma is a rare type of cancerous tumour that grows within the skull base and spine. Usually, chordomas are diagnosed in people over 50, although it can affect any one. According to the Chordoma Foundation, just one in one million people per year are diagnosed with this tumour. Chordomas start in the notochord which helps the development of a growing baby when it is still inside the womb. Only a small amount of notochord cells is left once the bones of the spine have grown. It is those cells that can turn in to chordoma. This type of cancer can occur anywhere along the spine but in 50 percent of cases the chordoma is usually found in the sacrum. There is no exact cause of chordoma known, research in to this is taking place but so far there are no known environmental or lifestyle causes for this cancer. There have been only a small handful of causes where members of the same family have been affected but it is extremely rare for chordoma to run in families. It is important when diagnosing this chordoma that it is with a specialist consultant neurosurgeon, neurologist or team that has had experience with this cancer before. This is because chordoma is easily mistaken for other types of cancer like a schwannoma or other spine or skull-based tumours. After a consultation discussing in detail your medical history and current signs and symptoms, the best way to diagnose a chordoma is through an MRI scan. A T2 weighted MRI scan will have a specific sequence where it will be able pick up detailed images of your skull and spine and is able to locate this cancer. The MRI scan will be able to see the tumour, tissue surrounding, how it is being affected and further issues. 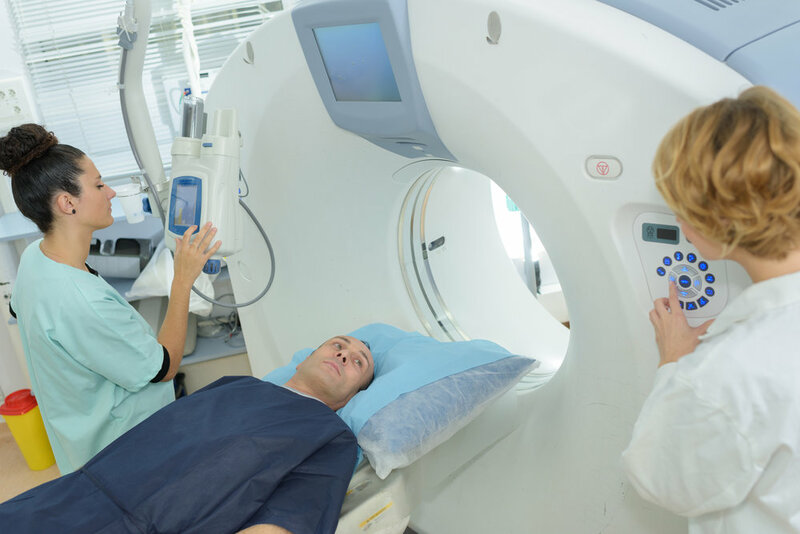 A CT scan can be held in addition to an MRI scan if there is need for clarification. Depending on where the tumour is, for a true definitive diagnosis, a biopsy will take place where the tissue will be placed under a microscope and examined by a pathologist. Sometimes just observation may be needed if the tumour is slow growing and not compressing or causing any harm to the surrounding tissue. The consultant may want to watch and wait if it is small. During this time, regular scans and reviews will be necessary. Surgery is an option to completely remove or debulk the cancer from the spine or skull. Sometimes the tumour can only be part removed as the risk of further damage outweighs the risk of remaining tumour. Other treatments are available if surgery the chordoma is inoperable or if the surgeon was not able remove the whole tumour, such as radiotherapy. Radiotherapy is a type of therapy where beams of radiation are directed to destroy the cancer. Chemotherapy is also another type of treatment that kills cancer cells and can be used for patients with chordoma. All treatment will come with side effects, risks, benefits and complications and it is important that the patient completely understands what is happening and why every step of the way. If you have a chordoma or are worried about your symptoms and would like a consultation please do not hesitate to contact us. What is glossopharyngeal neuralgia and what are the causes? Glossopharyngeal neuralgia (GPN) is an extreme stabbing, burning or electric shock type of intense pain in the tongue, throat, ear, and tonsils. The attacks can last from a few seconds up to a couple of minutes. The pain is connected to the ninth cranial nerve which is also called the glossopharyngeal nerve. This nerve is connected to the brainstem at the upper medulla and travels through the back of the throat, tongue, tonsil and ear, hence why such intense pain is felt in these areas. GPN usually affects people over the age of 50. Often, the cause for GPN is unknown and diagnosed as irritation. This is because abnormalities may occur where the nerve signal is disrupted and causes abnormal signals to pass through the nerve which ultimately causes pain. Other possible causes may be a tumour or infection in the mouth area which affects the glossopharyngeal nerve. Blood vessels or growths compressing the nerve and sometimes multiple sclerosis are also causes. To diagnose GPN a doctor will begin by going through your medical history and current symptoms you are experiencing. A physical examination may also take place where a cotton tipped swab will touch the back of your throat. This is performed to see you experience any pain, if there is pain then some local anaesthetic will be applied and the doctor will try again, if the anaesthetic works and you cannot feel the pain then it is likely you have GPN. Other ways of diagnosing glossopharyngeal neuralgia is by performing an MRI or sometimes a CT scan. To treat GPN your doctor may want to try a conservative route first of call. Anti-convalescent drugs like carbamazepine, oxcarbazepine, gabapentin, or phenytoin may be prescribed to see if they help neutralise the pain. A microvascular decompression is an option for more permanent relief, but usually a last resort if other methods have not worked. A microvascular decompression is performed to stop the compression between the blood vessel and the nerve root. This is done by placing a sponge between them. Firstly a craniotomy will be performed by making a small incision behind the ear and drilling a 1-inch opening in the occipital bone. The dura is exposed which is a protective sheet or covering of the brain. The dura is moved to expose the brain. Once the glossopharyngeal nerve is found, a Teflon sponge is permanently placed in-between the glossopharyngeal nerve and blood vessel to stop the compression. The dura is then closed with sutures and a small titanium plate will cover the skull opening with small screws in place, this is because the bone from the skull is not replaced. The skin is then sutured together and dressing is placed. You will spend a couple of days in hospital recovering and will be assessed by your surgeon and nurses before discharge. Recovery will take a couple of weeks but this can be in the comfort of your own home. A follow-up appointment will be made to check your wound and see if the surgery has worked. This type of haemorrhages does tend to occur to people who smoke, have high blood pressure, drink excessive alcohol, are around the ages of 40-70 or have suffered a severe head injury. 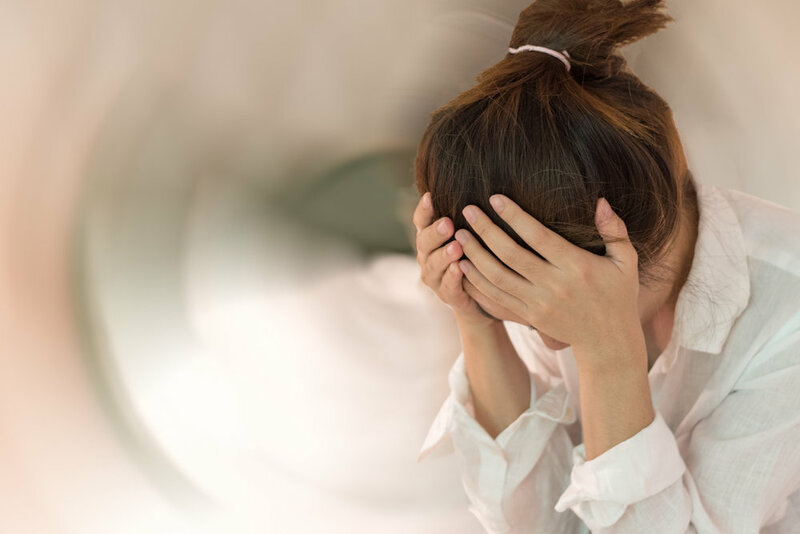 Headache – some people describe this as the worst they have ever experienced. Please be aware that a subarachnoid haemorrhage is a medical emergency and you must call 999. To confirm a diagnosis of a subarachnoid haemorrhage a CT scan will need to be performed. This will be able to create detailed 3D images of your brain and check for bleeding. Other tests are available such as MRI scanning and a lumbar puncture, this will be able to check for blood in the cerebrospinal fluid. Once a cause and location of the brain haemorrhage has been identified it can then be treated. This needs to be done rapidly to reduce the chance of brain damage and to save your life. 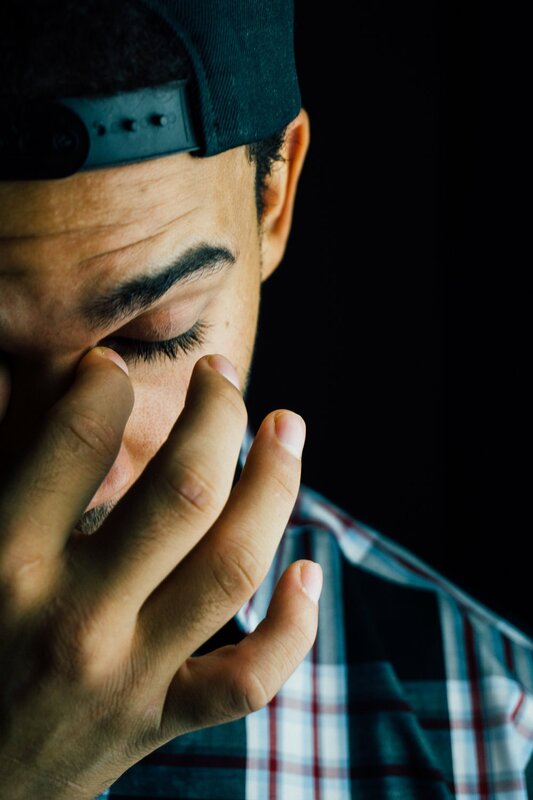 Medications and pain relief can be effective in relieving the headache pain and to prevent seizures and vomiting, depending on the haemorrhage, some just need close monitoring and may not even need surgery. Treatment does depend on how the subarachnoid haemorrhage is caused. The bleeding needs to be identified and then treated promptly as pressure will build up in the brain that can lead to detrimental effects like coma. The two types of surgery for a haemorrhage are clipping or coiling. Firstly, the surgeon performs a craniotomy by accessing your brain by removing a small piece of bone to access the brain. The aneurysm will be located and a small clip made of titanium is inserted to fit around the neck of the aneurysm and close it shut. This will ultimately isolated and prevent blood from leaking in to the spaces around the brain. The aneurysm will be permanently closed and will not be able to grow any bigger or leak in to the brain. A catheter which is basically a thing tube is inserted into another part of your body, like your leg. The catheter will make its way through the blood vessels to reach the aneurysm. Once reached, small titanium coils are passed through the catheter and into and aneurysm until it is filled up. This is to prevent any blood going in to the aneurysm and allows normal blood flow. This is more of a minimally invasive procedure than clipping and has a faster recovery time. After either of these surgical procedures you will be transferred to ITU for close monitoring. 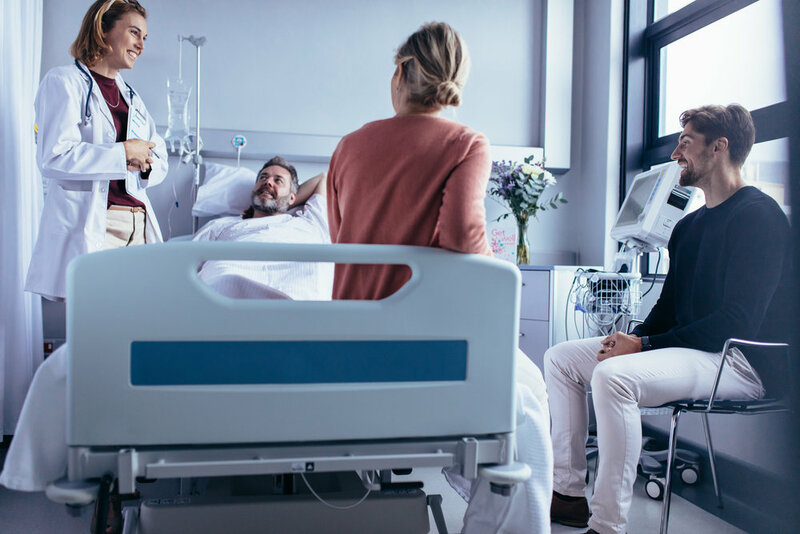 Your surgeon will have gone through what happens after the surgery and how recovery will go, it will also be explained again after you have woken up. You may need to spend quite some time in hospital to recover properly but this will be to prevent another aneurysm or complications. Cluster headaches are described as excruciating attacks of pain on one side of the head. These often occur around the eye. Although cluster headaches are rare their symptoms are fierce and debilitating. Anyone can get a cluster headache but they are more common in men and usually start during 30’s or 40’s and can be recurrent. Cluster headaches occur suddenly without any warning. The pain is usually a very sharp, severe burning or piercing type pain on the side of the head. Often this is around the temple and eye, sometimes spreading into the face. Cluster headaches happen in repeated attacks, usually on the same side of the head. Why do we get cluster headaches? Perhaps the most frustrating part of cluster headaches is that the exact cause isn’t clear. There is a link with a part of the brain called the hypothalamus. This is a small region of the brain responsible for hormone regulation and maintaining body temperature. There may be a genetic link as cluster headaches do tend to run in families. How often do cluster headaches happen? They usually occur daily during a bout or attack. These bouts can last 4-12 weeks before settling down. During the bout the headache often happens at the same time each day. There can symptom-free periods lasting months or years but the headaches do often return and often at the same sort of times of year. Do you need to seek medical advice? If you think you are experiencing a cluster headache you should see a doctor. 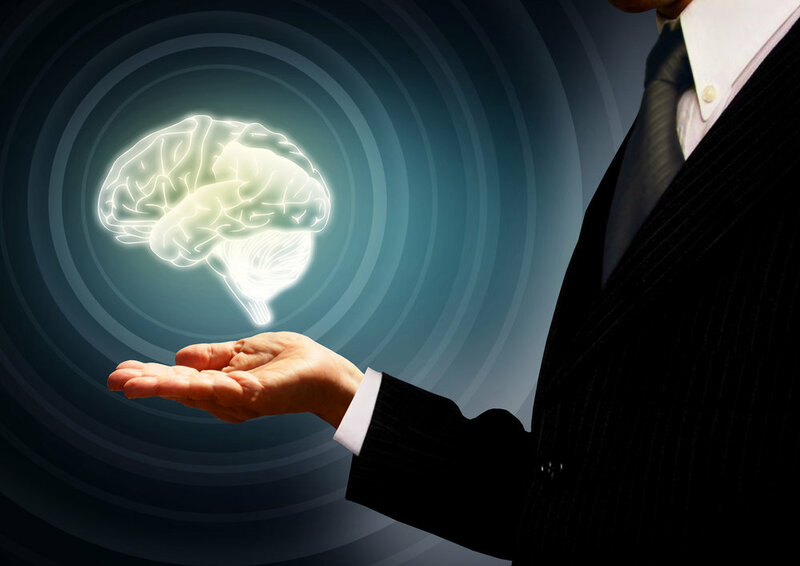 You may then be referred to a specialist such as a neurosurgeon or neurologist. They may perform further tests like blood tests or a brain scan to rule out other conditions. Usually with cluster headaches the scan looks normal. Are there triggers for cluster headaches? Sometimes cluster headaches can be brought on by triggers such as alcohol, smoking and strong smells (perfume, petrol etc). It is suggested that avoiding the triggers can help prevent cluster headaches. There are treatment options available for cluster headaches (we will be covering these in a future blog so watch this space!). We asked Mr David Bell, one of London Neurosurgery Partnership’s complex spine experts, to explain a bit about neck pain, why we get it, what causes it and how to help. Neck pain is very common among individuals of all ages. 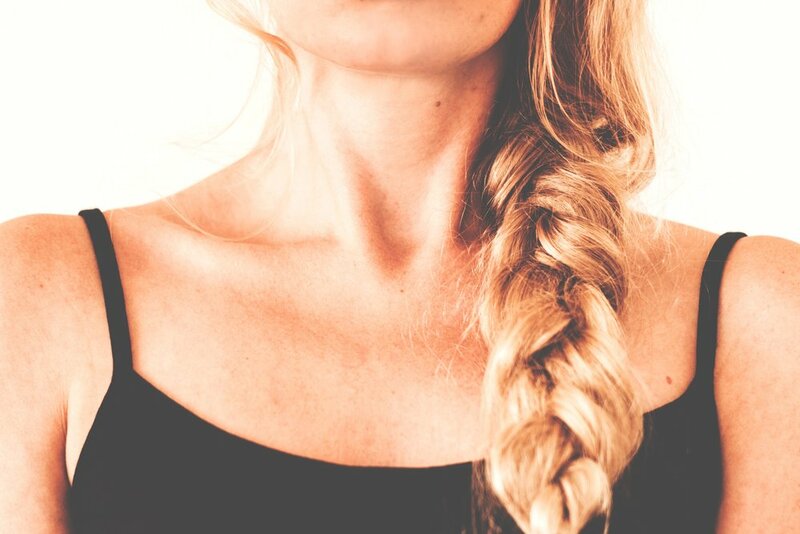 It can be linked to the simple straining of neck muscles from hunching over a computer, moving awkwardly or as a result of conditions such as osteoarthritis. Less commonly, neck pain can be a symptom of an underlying problem. Pain that becomes worse when the head is in one position for a long time such as driving or working at a computer. Muscle stiffness and sometimes spasms. Limited range of movement (especially side to side or up and down). Usually, neck pain improves within a couple of weeks with at home treatment. If it doesn’t improve then it is always a good idea to see your doctor. As a result of a trauma – like a trip, fall or car accident. Persistent for over a few days/a week without relief. Spreads down your arms or legs. Is accompanied by weakness, tingling or numbness. So what actually causes neck pain? Muscle strains: Over use of the muscles such as poor posture at a computer or sitting awkwardly for a while can strain neck muscles. Joint wear and tear: Just like the rest of the spine and other joints in the body, the joints in the neck can wear down over time. When this happens it can contribute to neck pain. Nerve compression: Disc bulges (called herniations) or little bony spurs can press down on and compress the nerves which branch out from the spinal cord to the arms. This can lead to neck pain, tingling, numbness and weakness. Injuries: Trauma, such as trips, falls, car accidents and other actions which result in rapid jerking of the neck can result in soft tissue (muscles, tendons and ligaments) in the neck being strained which can contribute to neck pain. Diseases: Much less frequently, diseases such as meningitis, cancer or arthritis can be the underlying cause of neck pain. Improve posture when standing and sitting. Take frequent breaks to get up and move around. Adjust desk and screen height so the screen is at eye level. Sleep in a good position. Mostly neck pain will cure itself over a couple of weeks. Alternate hot and cold on your neck may help relieve the pain alongside over the counter pain relievers. If it persists your doctor may prescribe some stronger pain relief. Physical therapies can often help persistent neck pain. If these do not work and your neck pain continues over several weeks into months your doctor may suggest steroid injections. These involve injecting corticosteroid near the nerve roots and into the facet joints to help relieve pain. If the pain is really persistent the specialist consultant may recommend decompression surgery as a very last resort. This might be recommended for neck pain resulting from a compressed nerve. The aim of surgery would be to release the pressure on the nerve root. Mr Richard Selway is one of our leading epilepsy surgeons here at LNP. He is going to give us a rundown of what epilepsy is and how seizures affect us. Epilepsy is a very common neurological disorder which affects every 1 in 100 people in the UK. 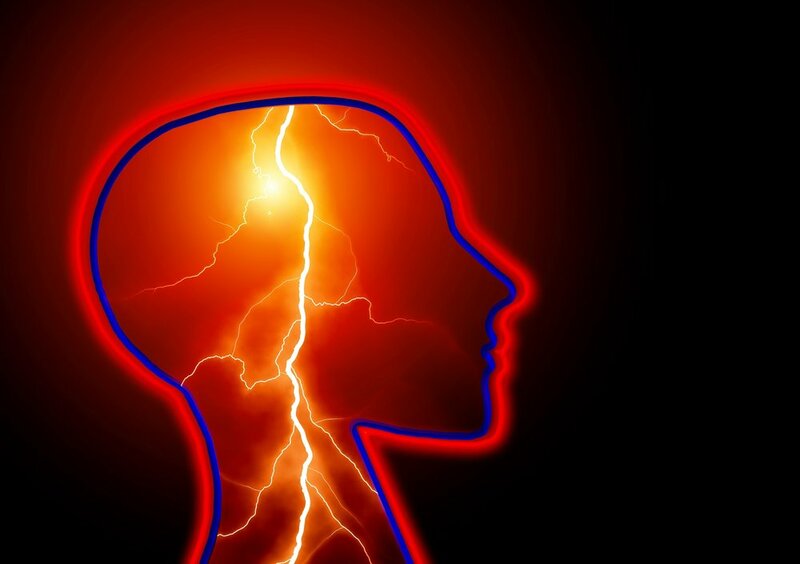 When a person is having an epileptic seizure it causes abnormal electrical activity in the brain which interrupts the way our brain normally works. Our brains cells are constantly sending electrical signals and messages to each other and throughout our body, so when an epileptic seizure is happening this can cause normal processes to be interrupted and can make a person jerk, become stiff and even be unaware of seizure they are experiencing. Sensation of tingling or unusual sensations when an epileptic fit is about to begin. The main symptom of epilepsy is a seizure but there are a whole host of different types of seizures. To find out more about them visit the NHS website here. In most cases of epilepsy there is no clear identifiable cause. Sometimes it can be due to family genes and you could have inherited it. Other possible causes are associated with damage to the brain like a brain tumour, stroke, head injury, substance abuse or infection. There are six types of generalised seizures that would help to be familiar with. Tonic clonic seizures: There are two phases to this seizure as both sides of the brain are affected. In the tonic phase the person will be unconscious, muscles will become stiff and can cause a person to fall to the floor. Tongue biting in common and so are sounds of crying or groaning. Following the clonic phase, jerking of the limbs may take effect as well as loss of control of bladder and bowel function. This seizure can take between 1-3 minutes. Tonic seizures: When a tonic seizure take effect a person’s limbs will go stiff and arms will raise upwards. They will fall hard to the floor if they are standing and it is common for them to fall backwards. There is no jerking or moving of the limbs and the person is completely unconscious during this time and the seizure will usually last for 60 seconds. Atonic seizures: Also known as a drop seizure, a person will lose all motor function and their muscles will go limp. This will cause them to fall to the floor, bang their head and result in other possible injuries. They are very brief and last just a couple of seconds. Absence seizures: Previously called a Petit mal seizure, this type will result in a person unconsciously being in a daydreaming episode. They will stare in to space and look like they are not listening, they may blink and have slight jerking movements. This seizure can begin in childhood and can sometimes be missed as it could be put down to a child not listening when really, they have no control over what is happening. Myoclonic seizures: Myoclonic are short seconds long seizures and sometimes unnoticeable. They cause short symptoms of muscle movement and jerking. They can be very mild or strong which may cause a person to fall over but they remain conscious during this seizure. Clonic seizures: Clonic seizures have repeated and rhythmic symptoms of jerking and limb movement. The person is unaware they are doing it and will last from 10 seconds up to 2 minutes. 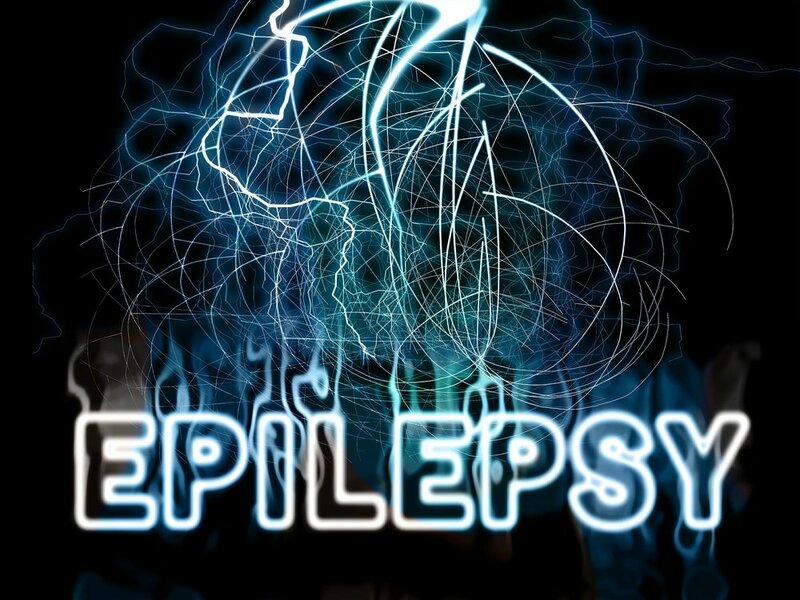 There are various types of management and treatment methods for epilepsy. There are medications called anti-epileptic drugs that help prevent or control seizures from happening. Other types of treatment can be Vagus nerve stimulation VNS and Deep brain stimulation DBS. Obviously surgical intervention will be considered for serious and life-affecting types and causes of epilepsy. Surgery for epilepsy is not taken lightly and various tests will be carried out prior, like EEG, brain scans and memory/ability testing. All of this will feed information about a person epilepsy to us so we can give the best possible outcome of management for the patient. If you are or know someone who is suffering with epilepsy, child or adult and need more information then please do not hesitate to get in-touch for an in-depth consultation discussing the type of epilepsy associated with you. Back pain is extremely common in people of all ages. Normally it will resolve itself within a couple of weeks or months but patients can also experience life-long symptoms of back pain. It can be felt anywhere in the back and can occur for various different reasons. There are many different ways to relieve and treat back pain but to also reduce it from coming back. Being active and stretching your back and body. This can be done by walking, running, stretching, swimming, yoga, Pilates and much more. If none of the above have worked and you are still experiencing pain and it is worsening and starting to affect your day to day activities then it may be worth a visit to your GP as there could be an underlying issue. Your GP will examine you, talk through your medical history and see if other ways of therapy could help. You may even be asked to have a scan like an X-ray or MRI to check if anything is causing the back pain specifically. The causes of back pain obviously differ but they are also very non-specific. It can be due to strain or injury, an accident or simply not being active enough. But there can be medical reasons like a slipped disc or even sciatica. These symptoms will be accompanied by more than just back pain, for example you may be experiencing tingling, weakness, numbness and pain radiating to the arms or legs. 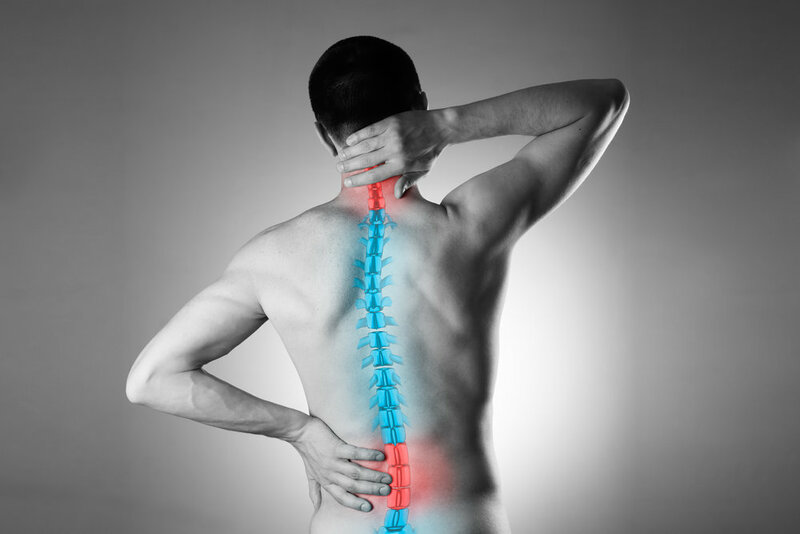 We see patients will all types of back pain related problems and conditions. 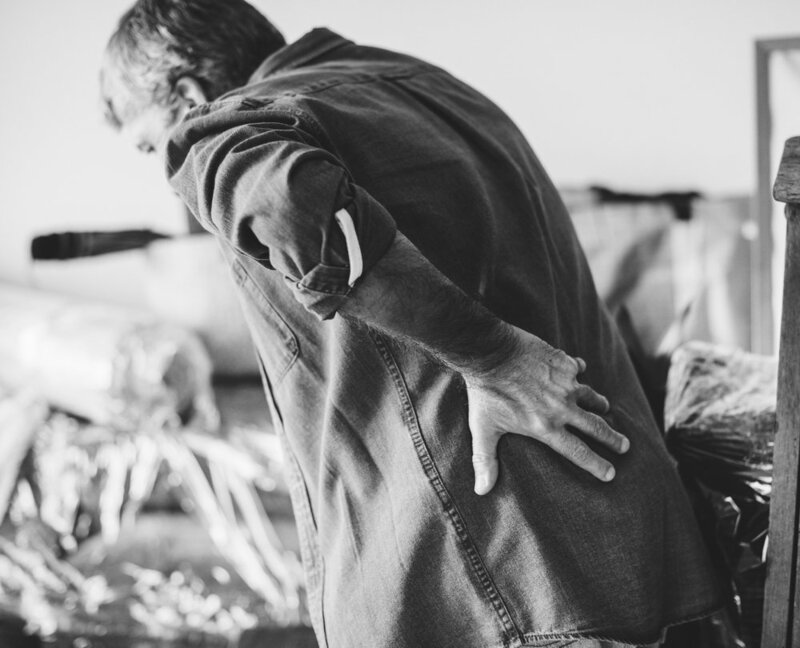 Even though back pain is common, there can be underlying issues that you may not be aware of. If your back pain and its symptoms are getting in the way of life and not resolving then it is important to get a second opinion. Contact us to book an appointment and get the diagnosis and help you need. Mr Richard Gullan explains to us what Spinal Cord Stimulation is and how it is surgically inserted. A spinal cord stimulator is a device that is surgically implanted under the skin in your spine near the vertebrae with wires leading to the epidural space. SCS is a type of therapy to help deliver mild electrical pulses to mask the pain before it has time to reach the brain. The wires of the SCS are attached to the spines nerve fibres and when turned on, it stimulates those nerves where the pain is and blocks the pain signal from reaching the brain. A SCS does not erase the pain from your body, it is simple a deterrent. Each person will have a completely different experience from this type of therapy because of the different levels of pain they are experiencing and also how the body reacts to such stimulation. The goal is for the stimulator to reduce pain up to 70% but that can be more or less for each person. A patient may experience a tingling sensation due to the SCS working, it is not painful but some patients may find it unpleasant. Candidates can vary but they all have one thing in common which is chronic pain. Steps are taken for each person before they are offered an SCS. They will need to have a full medical history check, see if medication can help with pain or physiotherapy and even surgery. The true goal is for the patient to be able to live a better standard of like and perform daily activities without being in chronic pain. Medication may still need to be taken but it will be reduced. There will be a trial for SCS initially to see if it will actually reduce the pain but also to determine if the patient is still ok to go ahead after the trial. During the surgery the patient will be under sedation and will lie on their stomach. X-ray is used to locate the area and the electrode wires are inserted in to the spine and lower near the buttock is where the generator will sit. A laminotomy is performed in the spinal cord to make space for the wires and then secured in to the epidural space. A test stimulation will be performed during surgery which the patient has to be awake for. This is to determine if it is working and to help the surgeon change the settings or reposition if necessary. Once this has been established then the patient will again be sedated and the generator will be implanted in to the buttock. A lead wire will run from the generator and attached to the electrode wire. Once all is in place then sutures are used to close the skin and the patient will be taken to the ward to recover. There will be restrictions in place as the patient recovers and your surgeon will talk you through those. Mostly is it about looking after yourself and the wound sites, so no strenuous activities or bending and twisting. It is also recommended not to smoke or intake nicotine products as they prevent bone healing. The patient will be sent home with instructions on how to use the stimulator but of course everything will have already been explained to them. The consultant will provide follow up and check up consultations to see how the patient is getting on. The London Neuromonitoring and Mapping International Course was held on the 23rd and 24th of November 2018. It was London Neuroscience Academy’s third time running this two day course and it was a success. 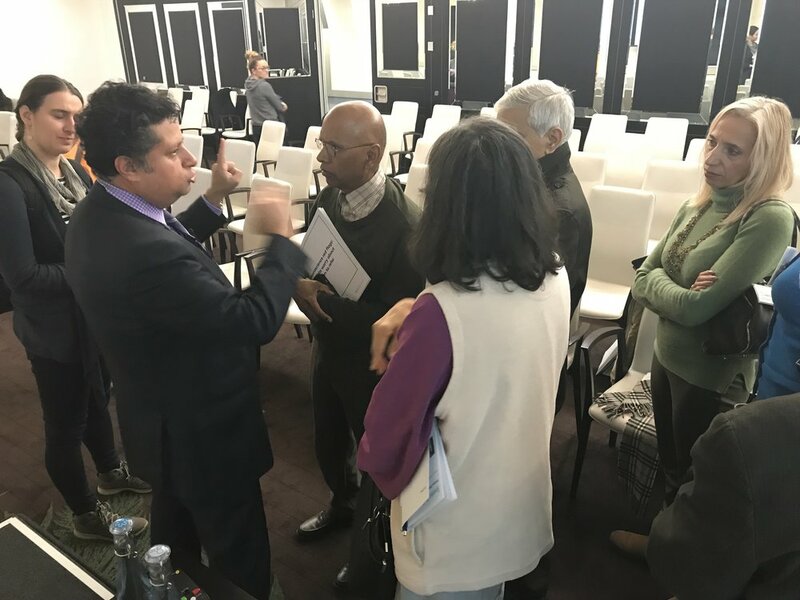 It provides the attendees with a unique approach whereby both the neurophysiologist and the neurosurgeon deliver the teaching side-by-side giving a realistic environment and extensive knowledge into the daily workings of the operating theatre. The first day (Basic Course) provided delegates with knowledge on the principles of intraoperative neuromonitoring and brain and spinal cord mapping. The neurophysiological principles and the clinical interpretation of MEPs, SSEPs, D-WAVES, VEPs, EEG and EcoG was analysed. Principles and techniques of direct electrical stimulation for brain and spinal cord mapping will be discussed. The setup for intraoperative neuromonitoring was be shown and hands-on demonstrations with the intraoperative neuromonitoring equipment was most definitely available. Anaesthetic considerations for intraoperative neuromonitoring was also discussed. The second day (Advanced Course) demonstrated how to perform intraoperative neuromonitoring and direct mapping in Spine Surgery, Brainstem Surgery and Brain Surgery. Each section included the anatomy, the physiology and the pathophysiology and the different intraoperative neuromonitoring techniques necessary to tailor neurophysiological strategies to each patient. Case studies showed and hands-on demonstration on different intraoperative neuromonitoring equipment will be available. The advanced course also covered cortical and sub-cortical brain mapping techniques for motor, language and higher order functions and their correlation with the extra-operative mapping with Transmagnetic Stimulation. London Neuroscience Academy are certain that the social opportunities in London and the highly educational content of the course will make your experience unforgettable and truly worthwhile. Mr Christos Tolias explains to us about cavernomas. A cavernoma is a gathering of abnormal blood vessels usually located in the brain and spinal cord. Cavernomas can also be known as cavernous angioma, cavernous haemangiomas or cavernous malformations (CCM). Cavernomas look like raspberries and usually measure from a few millimetres to several centimetres in diameter. They are usually solitary but can be multiple. 1 in 600 individuals may have one. They are usually located in the brain but can occur anywhere in the nervous system. Most are incidental, non hereditary lesions, however a minority of cavernomas (less than 50%) are thought to be of a genetic form and genetic testing can be used to determine. Genetic predisposition is more common in patients with multiple cavernomas. Cavernomas may not cause a person to have any symptoms but they are often diagnosed after a person has experienced symptoms and is being investigated. Other neurological problems such as slurred speech, double or blurred vision, balance problems, tremor or dizziness. Cavernomas are different from patient to patient, it all depends on severity, location and duration. A person can experience problems with cavernomas when they are putting pressure or bleeding in certain areas of the brain. Severe cases of haemorrhage can potentially be life threatening and have long-term effects on the individual but more commonly the bleed is small and may not be symptomatic. The majority of cavernomas are incidental findings on scans performed for non related reasons. Cavernomas do occur without clear cause and there is no obvious reason, but there are genetic links to cavernomas but most cases are completely random. Genetic testing can be carried out on cavernomas. Scanning is the best way of quickly diagnosing a person for many different conditions. An MRI scan may be used which will be able to show a detailed image of the brain and spine and will show the cavernoma. Other imaging and testing is available, such as CT or angiography but MRI is preferable. Cavenomas do not show up on angiograms as they have very slow blood flow. Treatment for a cavernoma does very from person to person. As mentioned before, it is all about severity, symptoms and location and effective treatment will vary depending on the cavernoma. The decision to treat will depend on a multitude of factors. The majority of these lesions are considered benign and are treated conservatively. Watch and wait – If a person is not experiencing symptoms or very little and the cavernoma is not causing any type of risk to the brain then the option of watching and waiting may be more beneficial. Medication – Medication will not resolve or change a cavernoma but it will help manage the symptoms it is causing such as seizures. Neurosurgery – The decision to treat a cavernoma is complex and discussions among specialists (MDT) is usually required to provide the optimal treatment plan. Neurosurgery can be carried out to remove the cavernoma. There can be risks involved but usually the benefits of surgery outweigh the risks. Other avenues of treatment can be stereotactic radiosurgery such as GammaKnife or CyberKnife which is non-invasive. Their indications are usually for deep located lesions that are less amenable to surgery. The indications and suitability of patients as well as their preferences are all discussed and agreed. A patient who has a cavernoma or has undergone treatment for this will need regular check-ups and scans such as MRI. Why we use CyberKnife Radiosurgery at London Neurosurgery Partnership. Professor Ashkan explains why we use CyberKnife at LNP. CyberKnife is a non-invasive form of radiotherapy treating benign and cancerous tumours. It is specifically used to treat inoperable tumours located throughout the body in places such as the brain, spine, head, neck, lungs and liver. The robotic system delivers targeted mapping throughout the body to locate the tumour and with sub-millimetre precision it delivers radiation to the affected area. We use CyberKnife treatment because it is a pivotal part of treatment for inoperable tumours and it absolutely lifesaving. The technology it uses is extremely precise and advanced in locating and treating tumours. It is also very patient friendly, unlike some other technologies like GammaKnife, there is no bolting of the skull or frame and the patient is completely awake. It is pain free and non-invasive and does not require an overnight stay in hospital. In a clinical study of 333 patients using the CyberKnife System to treat tumor metastases to the brain, more than 85 percent of evaluable patients achieved local tumor control at two years post treatment.1 That is, the tumor either decreased in size or stopped growing. If you would like to discuss the option of CyberKnife radiosurgery in more detail then please do not hesitate to contact us for an appointment. As a paediatric consultant I frequently see babies who have been born or even developed plagiocephaly. Today I am going to be explaining what it exactly is and why you should not be worried. There is often a slight misconception when it comes to babies having plagiocephaly and brachycephaly, the words in itself are complicated enough to make even the most resilient parents fear for the worst - but do not demise I am here to explain. Plagiocephaly – Is the flattening on one side of the baby’s head. This can be caused due to continued pressure on one side of the head and causes it to look asymmetrical. The ear can be more forward than the other and there can be an unbalanced or bulging look to the face. Brachycephaly – Is the flattening of the back of the head, resulting in a wider and shorter head. This can be caused when the baby is laying down on their back for a long period of time. Babies have soft skulls when they are born, this makes them vulnerable to conditions like this. It is also very common, affecting 1 in every 5 babies. Problems in the womb – Due to increased pressure in the womb or a decrease in amniotic fluid, the baby may be a bit squashed with not much room to move around, which causes the skull to flatten. Premature babies – They can be vulnerable to flat head syndrome because their skulls are underdeveloped. Sleeping position – Sometimes due to babies constantly sleeping on their back, it can cause the head to become flat at the back because of the constant pressure when the baby is sleeping. Tightened neck muscles – Some babies can have tight neck muscles which can prevent them from turning their head, this can cause the head to flatten due to increased pressure on one side. Here are some suggestions to help your baby take pressure off the flattened part of the head and also strengthen neck muscles. Tummy time – Tummy time is an important part of a baby’s development, it encourages them to strengthen their neck muscles and improve their co-ordination. As they get older they will be able to lift their head and push up. When sleeping – The Safest way for your baby to sleep is on their back, this is to prevent SIDS (sudden infant death syndrome) but if your baby constantly lays on a preferred side or the flattened side then you can move their head the other way. Feeding or holding – When feeding or holding your baby you can change the position so they are not always on one side. Moving from left arm to right arm can do this. The thing is, the more you change your baby’s position the less chance they have of getting a flattened head. This does not mean to constantly move them in fear that this will happen, but just to be aware and if you notice your baby favours one side then you can take the steps to encourage them to move to another side. If your baby does have a misshaped head and you are wondering if your baby’s head will ever round out then I am here to tell you that by the time your baby is 1 or 2 years old then any flattening should have improved by then and will hardly if not at all noticeable, especially as their hair grows. 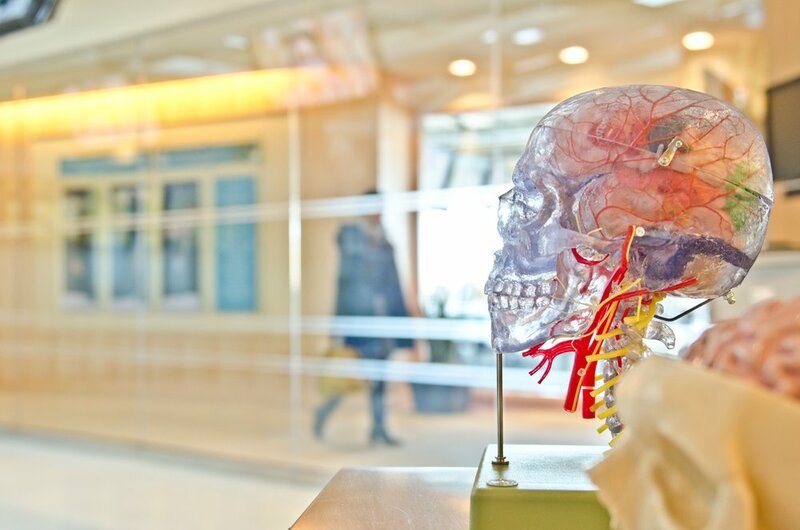 A private consultation with a London Neurosurgery Partnership surgeon – what actually happens. How do I book an appointment with a surgeon? It’s extremely simple to book an appointment with one of our surgeons, either call or email our team on 02070348709 or info@londonneurosurgerypartnership.co.uk. You can also check us out on various certified medical booking websites, like Doctify, Topdoctors and HCA Healthcare. If you have health insurance then your likely to have been referred to us by another healthcare professional - like your GP. Some insurance companies require a referral letter or confirmation your referring doctor to cover your initial consultation with us, so it’s always important to check your level of cover before you book your appointment. But rest assured, we’re recognised by all the big insurance companies like Bupa, Aviva, Alliance, AXA PPP and WPA along with many others. Of course, if you choose to self-fund, we will take a card pre-authorisation to secure the appointment. The payment won’t leave your account until after the appointment has taken place or if the appointment has been cancelled in line with our 24 hour policy. How do I know my appointment has definitely been booked? All appointments are confirmed by a confirmation letter sent via secure email or post, depending on how you’ve told us you’d like to be contacted. Each appointment is tailored specifically to each individual patient and therefore it’s hard to specify what will happen in your consultation. However, generally most initial appointments will cover your medical history, symptoms and potential treatment options. We understand that you may feel anxious during your appointment, but rest assured, our internationally-recognised surgeons offer an unparalleled level of care and will take the time to explain everything to you, including any possible examinations and treatments. It’s extremely beneficial to bring along any medical history documents or scans relating to the appointment, or if you’re feeling organised, you can post or e-mail your paperwork to our office prior to your appointment. What happens if my consultation discovers something worrying? If your case is urgent, then we ensure scans are performed on the same day, with a written report and findings available within hours of your consultation. Our priority is always you, our patient, and our teams are well equipped to give you the best and safest treatment. It goes without saying that should we need to expedite your treatment, we are prepared to admit patients immediately after a consultation with priority surgery appointments usually offered within the week. We are partnered with major private hospitals like The Harley Street Clinic, London Bridge Hospital and King’s College Hospital meaning we are well resourced to offer you the best possible treatment and care. It is our duty to make sure you feel important, listened too, cared for, safe and understood. If you would like further information then we would love to hear from you. Syringomyelia is a fluid filled cyst (syrinx) that has developed within the spinal cord. 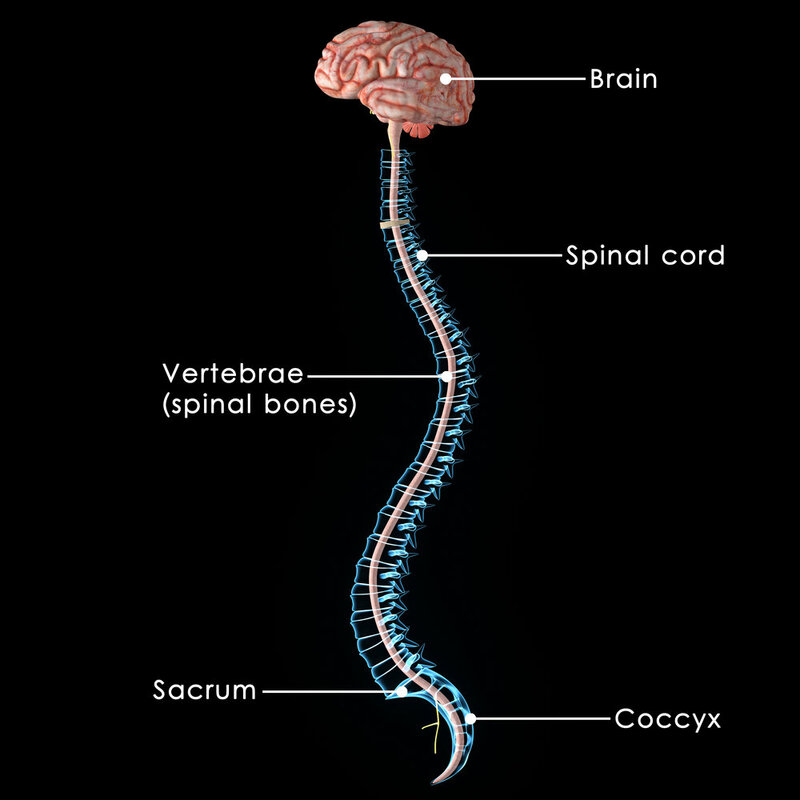 The syrinx will get larger over time and will start to compress and damage the spinal cord. The formation of the syrinx is when the cerebrospinal fluid that circulates and protects the brain, turns back on itself, towards the spine and collects tissue from the spinal cord which then causes a small cyst. Over time, the cerebrospinal fluid will gradually fill the cyst which causes the compression and damage to the spinal cord. The causes of syringomyelia do include, damage and injury to the spinal cord, tumours and most commonly Chiari malformation. Although symptoms do vary from patient to patient so it is important to watch out for signs. Usually patients experience early symptoms of weakness in their back, neck, arms and legs and loss of reflexes first. If a patient is presenting with the above symptoms associated with syringomyelia then their doctor talk through their medical history and perform a physical examination to look for signs of the condition. It will then be necessary to refer the patient for an MRI or CT scan of the spine. This scan will be able to produce detailed imaging of the patient’s spine and pick up any syrinx on the spinal cord. What are the different causes of syringomyelia? There are a few different ways to treat syringomyelia and it all depends on the severity and whether it is affecting the patient’s day to day life. Watch and wait – this option would be for patients with a less disruptive syringomyelia and it may have been caught early on where the cyst is still very small. As this condition can be slow growing, it may not be necessary to go ahead with treatments just yet, especially if the patient is not presenting with any symptoms. Medication – although syringomyelia cannot be treated through medication, it can help some of relieve some of the symptoms that it is causing. Draining the syrinx (shunt) – this is a surgical procedure in which the consultant inserts a tube which drains the fluid in to another area of the body such as the abdomen and prevents backflow. Other surgical options can be removing the tumour or a growth which may be obstructing the spinal cord. If the patient has Chiari malformation then the surgeon will aim to free up and expand the base of the cerebellum and improve the flow of cerebrospinal fluid. The patient will need consistent follow up care just in case the syrinx comes back. Your doctor will perform regular scans and follow up appointments to check whether there is any changes. The patient must be aware that a syrinx can cause permanent spinal damage even after surgery so it is important that the patient understands the risks with and without surgery. If you have any of the above symptoms and/or are suffering from syringomyelia and would like diagnosis and treatment then please do not hesitate to contact us.